UAE in particular and Gulf Region in general is rated as a most potential danger zone for Diabetes and its related diseases – expert. 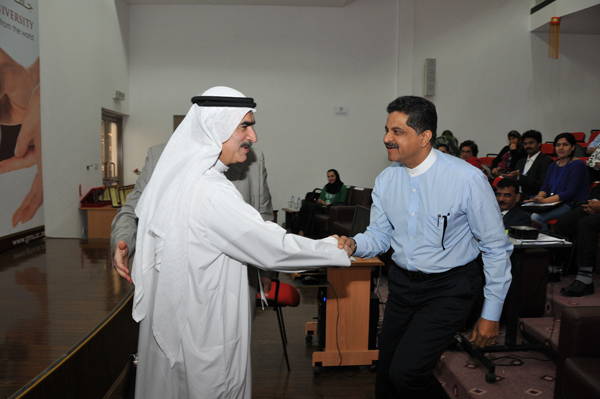 More than 200 doctors attended the 1st Regional Conference on Diabetes & Endocrinology held at Gulf Medical University Ajman over the last two days. Eminent speakers from all over UAE discussed about various aspects to tackle Diabetes, which is one of the biggest health issues facing the country today, apart from hypertension and cardiovascular diseases. “UAE in particular and Gulf region in general is rated as most potential danger zone for Diabetes, unless more awareness and prevention programmes are held”, said Dr. Abdulrazzak Al Madani, Chairman of Emirates Diabetes Society. 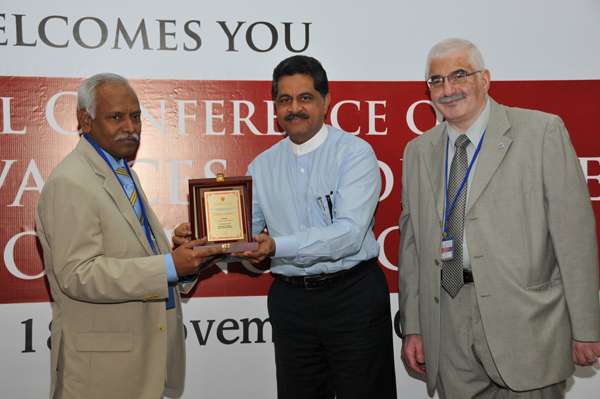 He was one of the recipients of the Diabetes & Endocrine Personality of the Year along with H.E. Dr. Mahmoud Fikri, Executive Director, Health Policies, Ministry of Health, U.A.E and President of the National Higher Committee for Diabetes Control. 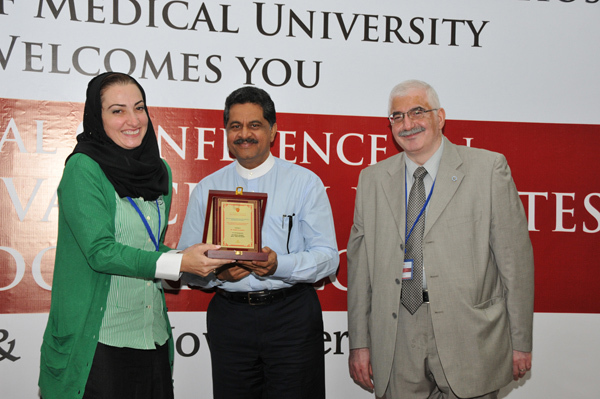 While Founder President, Board of Governors of Gulf Medical University Mr. Thumbay Moideen, who was the Chief Guest at the inaugural ceremony honored them, Dr. Reem Al Mifti, was identified as the Diabetes and Endocrine Patient of the Year by the Department of Internal Medicine, GMC Hospital. 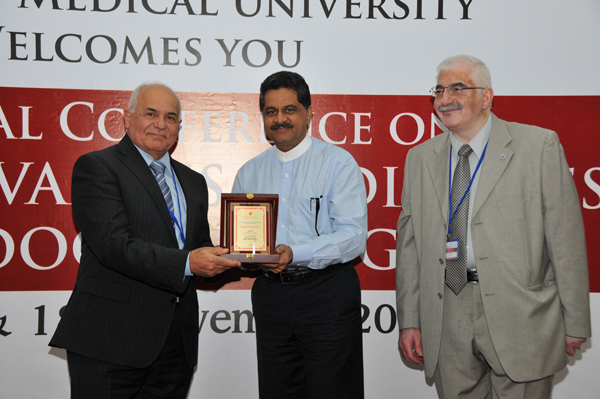 Dr. Salah El Badawi, Director of the National Program for Control for Diabetes and Member of the National Diabetes Committee, Ministry of Health received the award on behalf of Dr. Mahmoud Fikri. 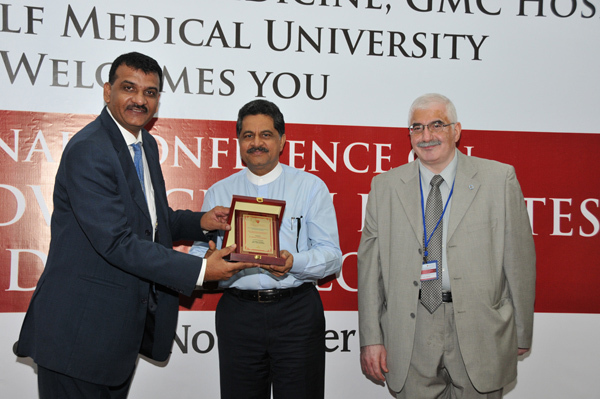 On the sidelines of the conference Dr. Madani appreciated the university’s initiative to honor some of the individuals for their contribution to Diabetes Prevention Initiatives launched by the Ministry and other national bodies in U.A.E. Dr. Madani emphasized on the importance of a healthy lifestyle including proper diet, exercise and a disciplined approach to tackling routine stress to avoid Type II diabetes. He encouraged people to adopt physical exercise and healthy food habits. 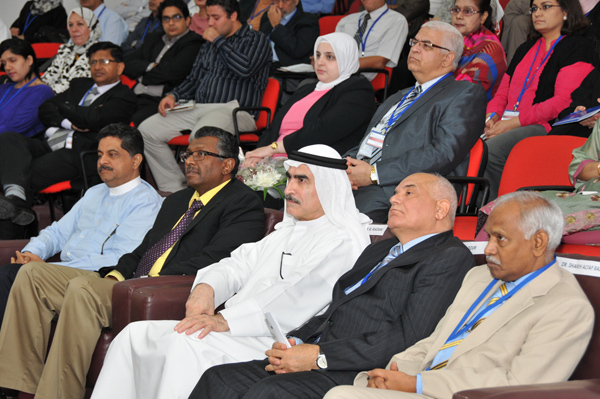 Leading experts from all over U.A.E. 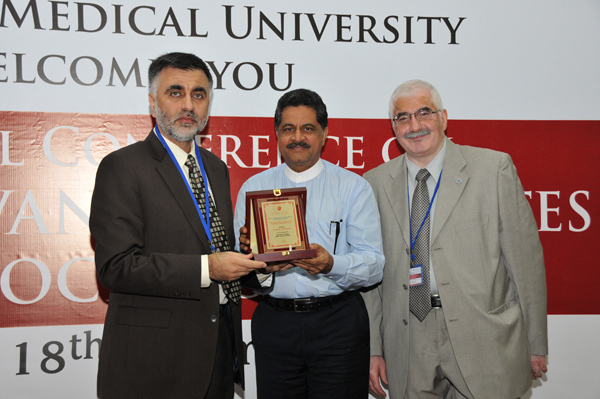 including Dr. Ahmed Al Jebawi, Dr. Mahir Khalil Jallo, Dr. Saadi Al Jadir, Dr. Huda Ezzeddin, Dr. Hubert K. Penninckx, Dr. Safwan Al Bayati, Dr. Manda- Venkatramana, Dr. Dhafir A. Mahmood, Dr. Omar O Dhaimat, Dr. Laxmi Kant Sharma, Dr. Salah Abusnana, Dr. Alida Taniwallova, Dr. M S Kumar, Dr. Mustafa Al Qaysi, and Dr. Banikantha Das Sarkar deliberated on topics related to Diabetes and Endocrinology. 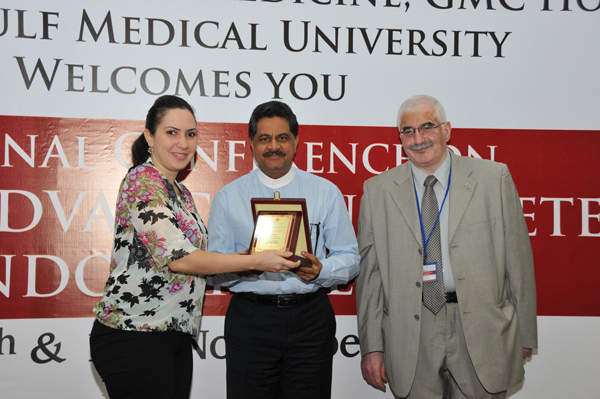 Department of Internal Medicine, GMC Hospital and Gulf Medical University hosted the conference, which was supported by Eli Lilly, MSD, Novo Nordisk, Astra Zeneca and Vitabiotics. 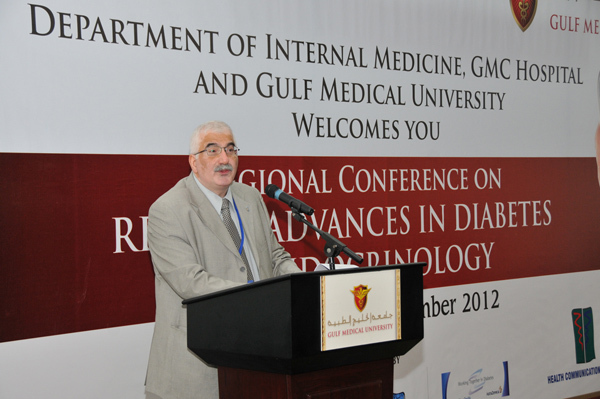 “The main aim of the event is to educate physicians, allied health professionals, nurses and medical students from all over UAE on the latest developments in Diabetes & Endocrinology,” said Dr. Mahir Khalil Jallo, Diabetologist and Consultant, Department of Internal Medicine, at GMC Hospital Ajman and Chairman, Scientific Committee of the Conference. 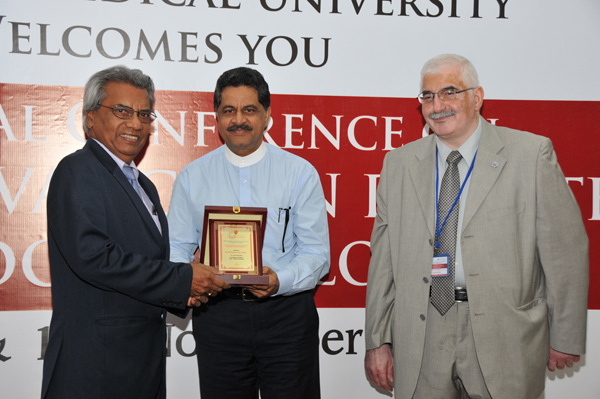 The conference was organized as part of the International Diabetes Day which was observed on the 14th of November, 2012 and was accredited by the Ministry of Health for 8.5 CME Hrs. One of the speakers Dr. M.S. Kumar said that Osteoporosis is a very common but silent problem. Timely diagnosis & proper treatment of it can save the patient from long term morbidity and impaired quality of life. Adequate intake of calcium & Vitamin D rich food products along with regular exercise are important tools in prevention & treatment of Osteoporosis. All diabetic patients are advised to inspect their feet daily using mirror especially between toes and pressure areas and also get their feet checked by the physician at each clinic visit to avoid developing the debilitating complications of ulcer, gangrene leading to amputations. 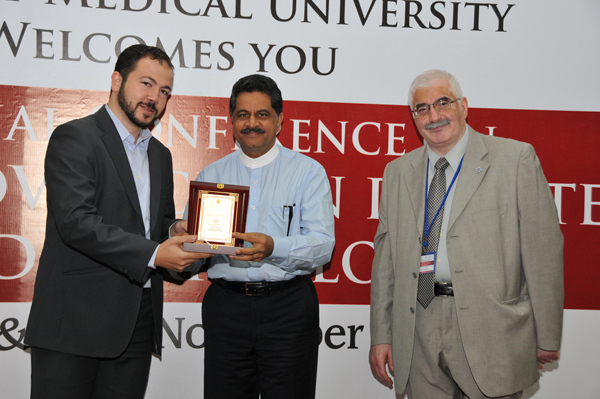 On behalf of the National Committee for Control of Diabetes, I would like to thank Mr. Thumbay the founder president of the university for honoring me with such a nice award that we have received during the Diabetes conference held by the university. This appreciation will of course reinforce our partnership with university as an academic institution that plays a major role in education and research that will feed in shaping future Diabetes control policies and strategies. 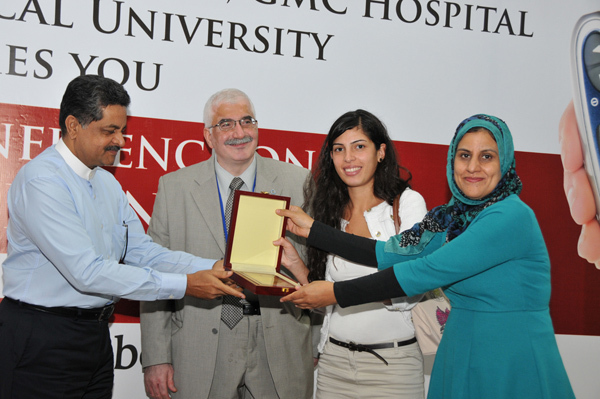 Mahmoud M. Fikree MD, PhD. 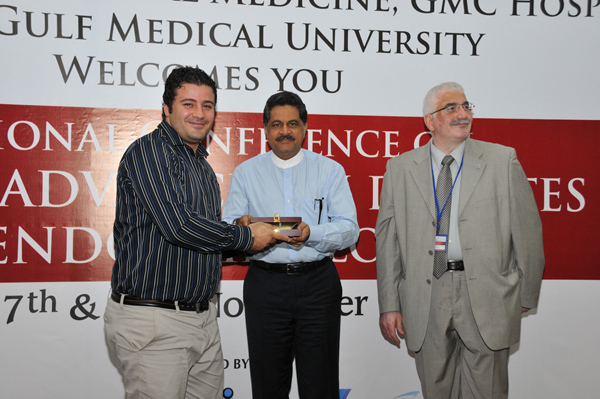 It has been a pleasure to attend the Regional Conference on Diabetes and Endocrinology at Gulf Medical University. 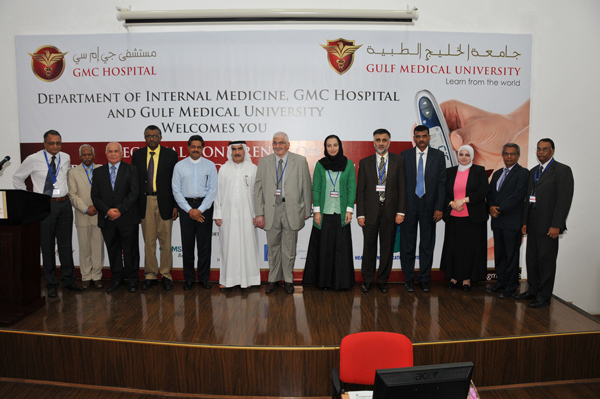 Ever since it has been inaugurated in 1998, I have seen GMU gradually grow and actively support the medical field in U.A.E. 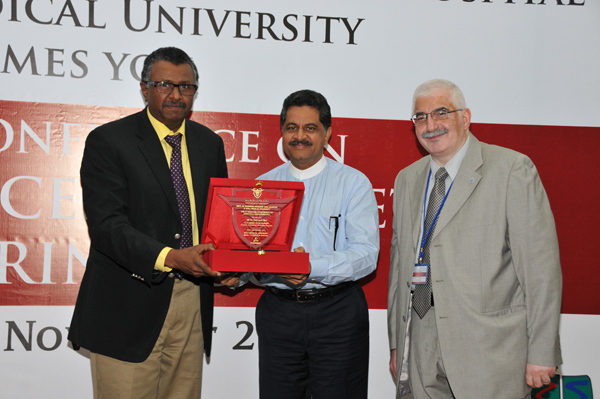 All the credit goes to the people who run this scientific academy, especially to Mr. Moideen, Founder of GMU who has started this university and I must say that he has done everything possible to turn his dreams into reality. It is also a honor to know that over 500 doctors have graduated from this university, many of them now are doing their Post-Graduation studies in U.S., Germany, Thailand, Europe and quite a good number of them have joined the hospitals here in U.A.E. and other countries too. 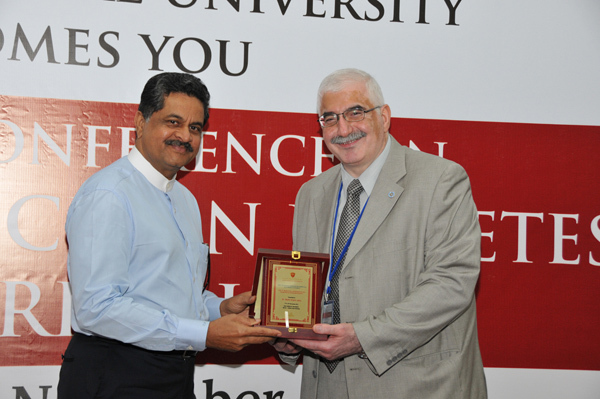 My thanks and best wishes to Mr. Moideen and the whole team of GMU who have been instrumental in organizing this wonderful seminar. And I wish to attend many more at GMU in future.